All Council business is dealt with by the Full Council on a monthly basis instead of utilising a number of Standing Committees. The Full Council will normally meet on the second Wednesday of each month in the Conference Room of Urchfont Village Hall. Agendas for these and the planning meetings will be posted on the Parish Notice Boards and Website during the week before each meeting and draft minutes posted similarly a few days after meetings. Occasionally other meetings will be arranged to discuss urgent business. See 'Meeting Schedule' for dates of meetings. Planning business will be considered on the same night as the Full Council meeting in accordance with the current UPC Planning Policy and Procedure. Planning matters will be subject to a separate planning agenda. The Council Chairman will chair the meeting with Lead Councillor for Planning conducting planning proceedings. Roles were reviewed and updated at the Full Council meeting on 13th March 2019. TOR were updated at the Full Council meeting on 18th October 2017, these TOR detail the general responsibilities for all Lead Councillor roles and additional responsibilities for specific roles. The Clerk to the Council remains the Council focal point for interaction with the public and other organisations; he will consult with lead councillors as necessary. However, in future if you have a concern or suggestion about one of the above areas of responsibility you can contact the lead councillor direct if you wish - Click 'Councillors & Officers' for contact details or click the 'Contact Us' page to contact the Clerk by email. 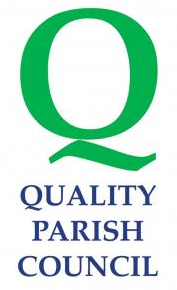 Where necessary working groups / parties will be established with defined terms of reference and deadlines to complete a task, these groups may include the co-option of non councillors from the Parish to widen expertise and knowledge available.